These are just a couple of the many questions around the safety of baking soda we get from readers like you. There are experts who claim that we shouldn’t brush our teeth with baking soda due to the wear that regular brushing with soda can cause on enamel and gum tissue. While risks exist (that we will explore together in this article), we think there is a deeper issue responsible for the ‘damage’ blamed on baking soda. Is baking soda being wrongly blamed? Our teeth like to be polished. Our gums like to be massaged. Our teeth are living gems. Yep, our teeth are alive and their structure is like a crystal. But, unlike rubies and diamonds, these crystals are alive! The bottom line is that most of us brush our teeth unconsciously. We call it ‘zombie brushing’. Let’s face it, if we brush our teeth like we are scrubbing a grout line in our bathroom, using baking soda to brush our teeth has the potential of causing some real problems. Incidentally, one way to tell whether you brush unconsciously is to notice how you are holding your toothbrush the next time you brush. If you hold your brush with a closed fist, you are most likely scrubbing a grout line. Holding your toothbrush like this video shows instead will offer a much gentler approach to caring for our oral hygiene. So, before we dive any further into the details of whether baking soda is safe to use as a regular tooth powder or not, let’s firmly state that ‘how’ we brush our teeth is definitely more important that ‘what’ we brush with. We have written extensively on the importance of this ‘how vs what’ debate in previous articles that detail the pros and cons of brushing with electric or manual toothbrushes. Now that we are all on the same page with the importance of brushing consciously, let’s dive into whether baking soda is a healthy choice for brushing. What are the risks of using baking soda? Here are the potential downsides to using baking soda as a toothpowder. Baking soda is only a 7 on the RDA scale. So, at first glance, it seems that baking used consciously isn’t too abrasive. As you know, the enamel is the outer portion of each tooth. Under the enamel is the dentin, then the tooth pulp. However, if we have receding gums, it’s very possible that the surface at our gum line that we brush is not enamel, but a tissue softer than enamel called cementum. As you can see from this image, the enamel only extends down the sides of our teeth so far. But once the gum line has receded, this exposes the cementum. This explains on a functional level why it’s more common for adults to get cavities along the gum line than on the chewing surfaces of the teeth. The receding gum line exposes the cementum, which is softer than the enamel that covers the crown of the tooth, and therefore is more prone to decay (and structural damage from abrasives). But even with this, is makes sense within the discussion of abrasivity that used consciously, baking soda is ok to use in a tooth powder. 2. What about the aluminum in baking soda? This is a common cultural myth. Baking soda does not contain aluminum. Despite the confusion caused by some product manufacturers labeling ‘aluminum free baking soda’ on their ingredient list, baking soda doesn’t have any aluminum in it. The confusion comes from the fact that some baking powders do contains aluminum derivatives. So, in a case of mistaken identity, baking soda got thrown under the bus. Baking soda does not contain aluminum. So this is a non-issue. There are experts in the field who suggest that baking soda is too ‘rough’ and compromises the healthy biofilm our teeth need to be healthy. Called the ‘pellicle’, this naturally occurring layer of health giving bacteria helps protect our teeth from acidic foods and other external factors that could challenge our enamel. Our article ‘How teeth decay’ gives a detailed dive into how the decay process develops and why it’s so important that we balance our oral flora rather than kill everything. You see, the bacteria that flourish at a pH of 5.5 find a pH of 6.5 or 7.0 downright inhospitable. Our job in managing our oral microbiome is to help maintain a mouth pH that encourages the probiotic bacterial populations that help us live healthy, vital lives. Using baking soda can help in supporting a more alkaline oral pH. With a pH of 8.3, baking soda gently nudges the environment of our mouths to a healthier place. For a deeper dive into the role that pH plays in our oral health, check out our article “Tracking your saliva pH“. This article contains a free download, the OraWellness saliva tracking log to help you along your path. This makes sense if you stop and think about it. Baking soda is sodium bicarbonate, so it’s a salt. All salts are naturally antimicrobial. A couple years ago we took a deep dive into researching commercial teeth whitening. You can read what solutions we gleaned from that research by downloading our FREE resource guide, How to Naturally Whiten Your Teeth (without destroying your enamel). Given the above information, we believe that baking soda can offer support in helping us navigate to optimal oral health provided that we brush consciously and avoid ‘zombie brushing’ our teeth. Baking soda definitely contributes plenty of ‘grit’ to help remove plaque, but we must be vigilant in staying present while brushing with baking soda to avoid causing more harm than good. You see, most of the grit of baking soda (and toothpaste for that matter) is diluted with saliva and ‘used up’ within the first 20 seconds of brushing. So, if out of habit you always start, for example, on the upper left side when brushing, the teeth and surrounding gum tissue in that area are going to get more than their share of abrasive and can weaken over time. We share a simple strategy in our free video tutorial course, the 5 Steps to a Healthy Mouth, to help mitigate the risk of this habitual ‘starting to brush in the same spot every time’. Presuming you brush twice a day, start on one side of your mouth in the morning and the other side at night. An easy way to remember this is ‘at night, start on the right’. So, each morning start brushing on the left side of your mouth and each night, on the right. We are so grateful for the resurgence of the DIY (do-it-yourself) movement. It seems that across all aspects of life from making deodorant to raising backyard chickens, we’re all waking up to the benefits of doing it ourselves. If you want to try your hand at making a toothpowder, definitely consider using baking soda as one of the ingredients. You may also really consider using xylitol to boost remineralization. Just make sure that the xylitol is sourced from birch and not corn, you so avoid GMO exposure. If you’re concerned or not sure about the safety of xylitol, check out our article ‘Is xylitol safe to brush with?‘ for a similar dive like what we’ve done here with baking soda. And, if you like the idea of using a toothpowder to remineralize your teeth but don’t want to try making it yourself, you may want to check out what we created with over 3 years of our research and development. We’re very proud of OraWellness Shine, our remineralizing tooth whitening powder. Here are just a few of the hundreds of testimonials we’ve received since launching Shine. At my last dental visit, my dentist said, ‘Whatever you are doing, just keep it up!’ Lisa H.
You can learn more about how OraWellness Shine helps remineralize while it gently whitens teeth here. How about you? Do you use baking soda in your toothpaste/tooth powder? If so, why? If not, why not? Sharing your thoughts in the comments really helps us all learn from one another. Together we can accomplish so much good. Something I’ve never seen metioned in these baking soda discussions – how abrasive is it *after it dissolves in water*? Which it surely does, unless you’re using buckets of the stuff, before it gets near any dentine? You bet! I’m glad this article was helpful for you. Cool article thanks! I enjoy my morning coffee and asked my dentist how to reduce staining naturally and they suggested baking soda. I must say it has worked wonders on reducing staining between cleanings and great to hear of all the other benefits. My routine is baking soda + electric toothbrush in the morning (the most time intensive) and orawellness brushing blend + bass toothbrush at night because it’s the quickest so I’m less likely to skip before bed. Thank you for stopping by to share your success routine with us! Sounds like you are definitely heading in the right direction! Thanks for this! I made the switch from toothpaste to Orawellness system about 2 months ago and it’s been great! Fresh mouth, thoroughly clean teeth etc! I did notice however, my teeth becoming somewhat dull and less white. I tried baking soda and hydrogen peroxide paste and in 2 days my teeth were shining and white again! ( I also resumed oil pulling too). A friend cautioned me that pure baking soda would be detrimental to my enamel however….so is tooth powder recommended over pure baking soda? How often and how much for either? We hear from customers every so often asking about how to maintain shiny pearly whites. The issue is our healthy mouth blend contains no abrasives, so stains from food/drinks stack up and a couple months later, we want our pearly whites back. Coffee/tea/red wine are the most common culprits. Thanks again for stopping by to ask your excellent questions! I made up one for rotating daily from top to bottom “odds on the botts”. I do this along with the one for right and left. I have used baking soda off and on for years for brushing my teeth and have had good results. I am grateful for the conscious brushing information and the suggestion to rotate the starting point in the mouth you have suggested in this blog post….things I had not previously considered. Another combination that has worked well as a toothpaste for me during the warmer months of the year is to combine baking soda with coconut oil and peppermint or Thieves essential oils. Thank-you for always educating and moving us toward optimal health which we understand begins with our oral health! Thanks for stopping by to share your experience with us. We’re glad you found benefit from the strategies we shared in this article. We are honored to help you navigate this path toward optimal oral health! 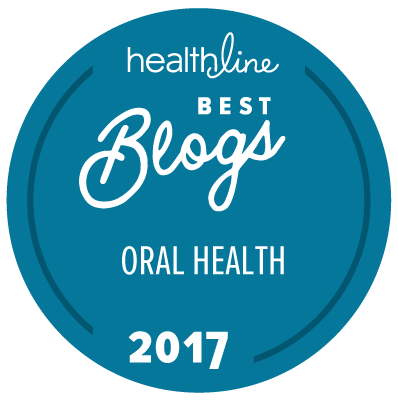 Thank you for letting us know that our articles and products are helping you along your path to optimal oral health Mirna! It definitely sounds like you are heading in the right direction. I believe results should be based on those using it long term. Diet alone wreaks havoc on teeth and that is why, diet can reverse. Baking soda can be bought aluminum free. It’s what I use to make my own toothpaste. Would mixing some baking soda in water and using it as a mouthwash give the antimicrobial benefits of baking soda without the worry of enamel loss? We think this is an excellent idea so long as you don’t mind the slightly salty flavor of the baking soda. I see no reason to not give this a try. Let us know how it works for you so we can all benefit. My teeth are whiter, feel cleaner, and I have good checkups at the dentist. When I found out about the OraWellness blend I began adding that to my toothpaste. Perfect blend for me. Awesome Lisa! Thanks for sharing with us! I mix baking soda with hydrogen peroxide for extra germ killing and whitening power. Officially the 3% peroxide in the brown bottle at the drug store is twice the recommended 1.5-1.7%, but I use the 3% all the time with no problems. Thanks so much for sharing your experience here with us! You don’t find that the full strength 3% peroxide causes unnecessary wear and oxidation in the tooth tissue (resulting in sensitivity)? For others reading this, we only suggest using peroxide at a max dilution of 1.5% (so mix 3% peroxide 50/50 with water to make the MAX strength to use in the mouth. You can always dilute with more water.). Thank you as always for stopping by to share your insight and experience with us! I have used the 3% as a gel (mixed in some guar gum) in a customized mouth tray a couple times in one week. The first time for 30 min, the second time 40 min and then 15 and 10 min. After the second time I had significant sensitivity to cold. That’s why I limited the time and took 1 day of ‘rest’ in between. They’re not extremely sensitive now but still somewhat sensitive. Do you think this will go away? I will dilute it the next time, glad to come across this info. I don’t know if it would be harmful if swished for just 1-5 minutes as most people do, but better safe than sorry. I’ve been using mixture of baking soda (1 to 2 tablespoons), table salt (1 teaspoon), and a few drops of peppermint, orange, and thieves essential oil stirred up in a small container. I wet my toothbrush, dip it into the mixture and brush with an electric toothbrush alternating between starting top right, top left, bottom right, and bottom left. I generally brush before bed. Been doing this, as well as tooth pulling for a few years. Sounds like you are heading in the right direction. Thanks for stopping by to share your thoughts on this. Appreciate this article, Wil and Sue. I guess it may behoove me to change from soley baking soda to homemade powder (h/t Wellness Mama). I learned a lot from the linked YouTube video showing the Bass technique. Thank you so much! So glad to hear it Stephanie. Thanks for letting us know that the video was helpful! Wow, that’s an amazing coincidence…. I was just wondering the other day, in paswing, if I should be concerned that I always start in the same spot. Guess I know the answer now! Thanks as always. I often mix baking soda with coconut oil to help buffer the abrasiveness. Coconut oil also has antimicrobial benefits. Sometimes I add the Healthy Mouth Blend to it. I have gum disease and have been getting good reports so far. My toothpaste is mixture of baking soda and cocnut oil. I also add a few drops of Orawellness Mouth Blend. I use my own mouthwash as well: dissolved baking soda with tea tree and fennel EOs. I have been using this for weeks now and so far very happy with the results! Sounds like you are heading in the right direction Eva! Thanks for stopping by to share your experience with us all here. The best dental professionals are the ones concern on the wellbeing of their patients and give a great deal of attention to aesthetics which is achieved by a harmony between healthyteeth, gums, and the face. It sounds like baking soda has pros and cons, so I have to take this into consideration as well. What do you think of EcoDent ExtraBrite tooth powder? The label says it is “Less Abrasive. Neutralizes Mouth Acids, Cleans teeth & freshens breath without fluoride.” It contains sodium bicarbonate (baking soda), tartaric acid, sodium methyl cocoyl taurate, calcium peroxide, dicalcium phosphate dihydrate, calcium carbonate, magnesium carbonate, sea salt, hydrated silica, mentha piperita (peppermint) oil, menthol, anethole, cyamopsis tetragonoloba (guar) gum, commiphora myrrha (myrrh) resin extract. In your estimation, would this product be good for general brushing and remineralization? Would you suggest adding a drop or two of your Healthy Mouth Blend? EcoDent’s products tend to be pretty good. While we aren’t fans of using hydrated silica (wet sand?) as it’s pretty abrasive, other than this, the ingredients seem pretty benign. Yes, we do suggest using a drop or two of our Healthy Mouth Blend in addition to any paste/powder to provide the support of the blend as dry herbs in other products just don’t carry the same impact/benefit. Thanks for the reply. One more thing I’ll be doing is to gently distribute the EcoDent powder around my mouth and give it 20 seconds to dissolve before brushing I normally do. Can you remind me, does the Healthy Mouth Blend help with remineralization? I was dismayed to be told by my holistic dentist that I’ve developed a cavity, which should not be happening on my low sugar, Weston Price type diet, so the culprit in my mind is the glycerin in the toothpaste I had been using which coats the teeth and blocks remineralization. Too bad it’s in so many toothpastes, including most of the ones at the health food store! I hear you on how unfortunate it is that so many toothpastes (even the health food store ones) have so much glycerin in them. Yes, our healthy mouth blend does support remineralization by stimulating saliva production. While the blend doesn’t directly help the remineralization process by providing more minerals in the saliva matrix, simply by stimulating an increase in saliva production, the blend does support the process. Please holler with any other excellent questions! Could you please consider adding Remineralization to your list of Blog Categories, so that people can sort according to this? Thank you for the idea Beth. We are currently working on a site redesign and I have added your request to our list of redesign actions. Please feel free to reach out to us with any other ways we can improve the site for your ability to find the info you seek! That’s good to know. For the redesign, perhaps you could add Remineralization/Healing Cavities for clarity. I would think that this is one of the main reasons people look for information on sites like this. Italian oncologist Dr. Tullio Simoncini claims success using sodium bicarbonate against cancer and has used it for oral cancers. He cautions against regular use of baking soda because it is possible this will decrease or negate its effectiveness should it ever be needed to remove a cancer. It is his belief that cancer is a fungus, which is easily destroyed by sodium bicarbonate. His book, Cancer is a Fungus, is a very interesting read. Thanks again for stopping by to share. This would also mean not using baking soda and water to treat an acid stomach in case later you wished to treat cancer of the larynx, esophageal or stomach cancer with sodium bicarbonate. Thanks for the information! It seems like using baking soda can really have positive effects on oral health. You made a great point about how brushing consciously using baking soda is important because of how abrasive it is. Using it to support a healthy oral pH seems like a great benefit, so making sure that you don’t brush too hard seems like a great way to reap the benefits without doing damage to your teeth. I brush with a mixture of half baking soda and half sea salt with just enough water to form a paste. I switched from store bought toothpaste because I have breast cancer and am concerned about fluoride toxicity. My dentist asked me to bring in my homemade toothpaste next time I come it. I was wondering how effective baking soda is in whitening teeth? The manager at a health food store asked me about that and if baking soda would damage the enamel. My google search on that topic brought me to your page which I found very helpful. Thanks! In our article titled, “What’s the Safest and Most Effective Abrasive for Naturally Whiter Teeth“, we discuss a term called “Relative Dentin Abrasivity”, or RDA for short. On this scale, dental researchers have ranked lots of oral hygiene products to determine how abrasive they are. The scale goes from 0 (no abrasivity) to 269 (VERY high abrasivity). We find that brushing with baking soda (which has a really low abrasivity of 7 on the RDA scale) is a safe way to gently polish the built up food and drink stains from our teeth, which makes the teeth appear whiter. As long as we are sure to brush very gently with it, baking soda should not damage the enamel. Our article, “How to Make Your Teeth Whiter (Without Destroying Your Enamel” explains more on this. Also, if you reach a point when you feel you’d like to add more support to your oral hygiene routine (while still keeping your products natural), please feel free to check out our HealThy Mouth Blend. Does Mixing baking soda with applecider vinegar work? Does it give a permanent solution? Thanks for this Article, Really Good Information.Even When I went to Consult Doctor he suggested me to prefer Baking, So from past One Month I am using Baking Soda.Really Good one. I have recently got porcelain veneers on my four front teeth – lovely ! but I am worried that using bicarb or “whitening” toothpaste will take the shine from them. Am I correct? Thank you for stopping by to ask. While we don’t know the specifics of all the various dental materials on the market, I think it’s wise for you to consider this prior to using any soda on your teeth. That said, I have a rather old white filling and soda hasn’t seemed to negatively impact it. However, like I stated, it’s decades old so is most likely a very different material than what it used these days. Let us know how you decide to navigate this one so we can all learn from one another! Do you think it is right to use baking soda daily (3 times a day) as toothpaste? theres no side effect? Yeah, you can use baking soda everyday provided that you are brushing consciously. You see, baking soda does provide more abrasion to one’s brushing habits. So, if you brush consciously, no problem. But if you occasionally scrub your teeth unconsciously, the extra ‘grit’ can cause more damage. So, as always, the game is to bring more awareness to what we are doing, in this case, brushing our teeth. That’s a good point that I don’t think about brushing my teeth while I’m doing it. I think I brush with a closed fist more often than not and that might be damaging my teeth. If that’s the case, baking soda might not be a good way to whiten my teeth. Next time I go to the dentist, I’ll just ask about the different professional options that I can go with to do that. Huh, first you say the abrasiveness is not an issue, then you say you have to be careful to not use it too much because of the abrasiveness? Thanks for coming to ask for clarification Jill. I can see how that might be confusing! It’s really a factor of how conscious we are when we brush. You see, we can cause damage to our teeth with ‘just’ a toothbrush if we scrub at the teeth too hard unconsciously. So, while baking soda isn’t too abrasive to use in the mouth, it does add some ‘grit’ to our brushing routine. Does that help clarify the point I was trying to make? I just wanted to share some experience I’ve witnessed with baking soda. My grandmother brushed her teeth 2 times a day and used baking soda every night that I can remember. When she passed at 82 she still had all of her real teeth, she didn’t have noticeable cavaties and her teeth weren’t terribly stained! Thanks for the article, do i just buy any baking soda that is used for bread or there is other special one for the teeth.Thanks for sharing with us. Any baking soda will work. There’s an internet myth that suggests that some baking sodas contain aluminum. This isn’t true. So, any baking soda will work. Thanks for stopping by here to ask! Thanks for stopping by to ask. Yeah, acidic liquids are hard on the teeth. We agree that over time acids make our enamel softer and more prone to DEmineralization (losing minerals from teeth is never a good thing). So, the game if you are going to drink acidic liquids is to rinse the mouth with fresh water immediately after. That way, the acids aren’t allowed to sit on the teeth for time, which is what causes the damage. Also, it’s very important that you NOT brush immediately after any acidic drinks as the acids soften the enamel and make it more prone to be brushed off the teeth (yikes!). even the gentlest, burned my mouth, probably due to the mint flavoring. I have been using plain baking soda for a couple of weeks now, and find that it leaves my mouth feeling cleaner the any of the toothpastes I had tried. Thank you for the tip about switching sides when starting. We are honored that you find benefit from our research and insight. Since this is a bit confusing, what is the difference between Baking soda and Baking Powder (never heard of the latter) . And what is the “grout line” ? Thank you for reaching out to ask. Baking powder is a mix baking soda and cream of tartar. We only encourage the use of baking soda in brushing. Yes, soda is safe to brush with provided you use a gentle hand. Be conscious while brushing to avoid over brushing. Also, I thought that abrasiveness had to do with the size and sharpness of the grain (that’s why would never use salt!). Is this an issue? Other than this I learned a lot from this article, thank you. Oh and what about gums? I just read that baking soda can irritate gums. I do have to say that since I started brushing with baking soda (1 week ago) my gums have become more sensitive. Hello and thank you for this article. I actually use baking soda and sea salt in warm water to rinse my mouth after oil pulling. Do you know if the baking soda dissolved in this form is also antibacterial? I suspect that it is… Just wondering, and thanks for your great website! Oops. That should say anti-microbial! For a couple of years, I have used Dr. Bronner’s unscented castile soap instead of toothpaste. I do put some baking soda on a brush to brush the back of my lower front teeth, since tartar tends to build up there. I use Dr. Richard Schulze’s Tooth and Gum Formula mixed in distilled water as a mouthwash following the brushing. At night, before I go to bed, I use the OraWellness HealThy Mouth. So far so good. A pinch of baking soda added to my cup of tea or coffee will change its ph! After reading several quality articles of yours, I just wanted to drop in a comment thanking you for all this wonderful information. Hey is baking soda hydrogen peroxide mix safe on teeth? I am using baking soda for brushing my kids’ teeth, they are aged 2 and 5, is that okay especially for my 2-year old who does not know how to spit yet? Thank you anyway for the article, it helps me understand about using baking soda and its abrasiveness.. My mom told me about being careful using it because it might destroy my kids’ enamel.. I have a bone to pick with this article and especially with your illustration of tooth anatomy. Enamel covers the part of the tooth above the gums but cementum covers the roots. Cementum is almost as strong as enamel. So simply having gingival recession does not mean you are brushing dentin. I would really appreciate it if you would correct this error. I think your website it fabulous and I would like to refer my patients here for information but I can’t do that if you publish incorrect information. Thank you SO much for stopping by to add to the accuracy of our blog!! I will correct this error for sure! We are honored that folks more knowledgeable than us come here to help us all learn more! I have recently started using just baking soda to brush with and I also took my kids off of toothpaste. As a result, I no longer have morning breath and my daughter, age 4 used to have bad odor even after brushing, no longer has this problem. I do not want to cause harm to their teeth or mine; is there any recommendations for me? I make my own toothpaste and mix baking soda with some sea salt , coconut oil and essential oils. Does using oils with fine baking soda still make it abbrasive to my teeth? Hello,can i just dip my brush with my regular toothpaste on it to the baking soda before brushing it?is it fine? I absolutely love brushing my teeth with baking soda, so much so that I was began to worry whether it would eventually cause damaged. I tried to justify using it even still, by using Pronamel tooth paste to combat any damage that the baking soda would cause. I brush my tongue first for a few seconds before I hit my teeth to lessen the amount of damage also. My grandfather kept his own beautiful teeth into his nineties. Gran said the only thing he ever used to brush his teeth was baking soda. I used baking soda with my Sonicare. I felt that the combo was too abrasive and my teeth felt sensitive afterwards. So i didnt do it again. I have since purchased your new powder. I use it with your toothbrush. I don’t know for how long to brush, though., or how much powder to use. It didn’t cone with much instructional info. Thanks for stopping by to share your story! Rather than suggest a specific time frame to brush with Shine, continue to gently brush until your teeth feel clean. ‘How long should I brush my teeth?’ discusses this. Depending on your focus (remineralization or whitening), will determine how much powder to use. When using Shine to whiten teeth, it’s best to apply the dry power to your brush and only brush a few teeth at a time, then reapply your brush with Shine and brush a few more teeth. ‘How to Use Shine’ shares this and other strategies to use Shine to support your oral health. I use a mixture of coconut oil and baking soda to reduce the amount of garbage I produce that goes into a landfill, as toothpaste tubes usually cannot be recycled. Thank you for your awareness about the amount of plastics we as a people produce. Truly, we are on an unsustainable path. You are correct that toothpaste tubes (and toothbrushes) both contribute to this problem. Please know that we are aware of this and are actively working on solutions to lower the impact our company has on our environment. Big hugs to you Will and Susan!! Ah, thanks for the big hug Helene! You two are Rockstars for our teeth. or roto rooter person it may not be an issue….just wondering…we do love it in everything even our bullet proof coffee…& many things we consume. Thanks for reaching out to us here to ask your question! Thanks a lot for this info. Indeed, baking soda is rated 8 on the RDA scale, which is nothing. I brush with an electronic brush because otherwise I don’t brush well…..therefore, I cannot brush wrong while using baking soda, right ? I have very sensitive enamel, due to too much acid when I was younger, so planning to make my homemade toothpaste (3tbsp baking soda, 3tbsp coconut oil, and pepperming and spearmint oil). I also oil pull every morning. Really hurts, I also use 2 times a week activated charcoal. Some use it every day, not sure on the abrasiviness, I think it’s 50 or 80, do you have an idea ? Thanks for sharing such useful information.Actually I have been seen on internet many times the baking soda oral health tips and was confused with it.So your post is really helpful for me & I really appreciate it. Due to the abrasive nature of baking soda, I’ve always brushed normally in the morning, then put a little bit of baking soda on my toothbrush at night. Should I do it both morning and night, or would you suggest one or the other? I’m using baking soda and some lemon juice since I’m a teenager and it really works for me. Thanks for sharing this wonderful tips to us. I suffer from stained teeth and have just started using a mixture of Sodium bicarb, coconut oil all mixed in with my regular toothpaste. So far it’s doing the trick except for where I have had repairs on my front teeth which has left brown lines. I’m told this is due to drinking tea (I’m English). Do you have any suggestions for this? You can’t be serious that xylitol sourced from GMO corn can be a problem! Many people do NOT want to consume GMOs. Thanks for another great article. Love the tip re alternating sides. As well as using your drops, brushes and Shine powder with good results I rinse with baking soda and water after I drink warm water with lemon or cider vinegar, or kombucha because I have noticed they increase sensitivity and have heard they erode enamel. Seems to work and as mentioned reduces the abrasiveness issue. 1.) How often should I alternate between the two pastes? 2.) What should the alternate paste be? Thanks so much for your publications. I find it really rewarding. I use baking soda and a little quantity of salt added to brush my teeth daily. I feel really fresh in my mouth after brushing, but I was being sceptical of the aftermath in due course. Your publications has given me some relief and I want to involve my children in the act. Your advice please. Thanks. TIMMY I. Nigeria. Gracias por comentar usted. Estamos de acuerdo en que el bicarbonato de sodio es útil para blanquear los dientes de forma segura . Lo que es importante es cepillar suavemente y con conocimiento consciente para evitar el esmalte dental. Hi, so just a comment on the abrasiveness of baking soda. Baking soda, compared to most, if not all commercial toothpastes, is a lot lower abrasiveness. So for people with receding gums, it’s better to use baking soda than toothpastes.